If you are approaching or at retirement, it is time to enjoy what you have earned. Most people work hard over their lifetimes to build wealth and accumulate a variety of assets. Once they retire, the challenge becomes how to make the transition from accumulating assets to distributing income. What’s the most efficient way to convert assets into income? How can I effectively manage risk? How can I make the most of the assets I have? And lastly, how can I make sure to preserve my assets to leave the legacy I want to leave? 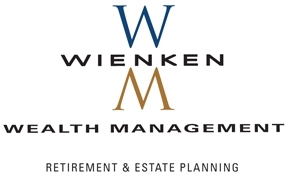 For three generations, the retirement planning experts at Wienken Wealth Management have served the community by providing highly successful people like you with strategies for maximizing income in retirement, preserving and protecting assets, charitable giving and minimizing estate taxes. People are living longer and may spend 20-30 years or more in retirement, which means a longer period of time to stretch retirement assets. Withdrawing too much too quickly could result in running out of money. There is always the potential to lose money you’ve invested. Investment losses can result in less money to live on in retirement. Dramatic increases in recent years may continue, which could be a significant financial challenge during the later years of retirement. Once you retire, your only job should be to enjoy life. Whether you want to travel, keep working at something you love or just to relax, we can help you manage your assets not only for a long, secure retirement but for a lasting legacy for your heirs as well.